This week, I’ll be providing five mini-slideshows to add context and substantive detail to last week’s post and video clip on Brookings Touts Philadelphia’s Top 5 Strengths in U.S. Clean Economy. Number 1 in the docket is the Cleantech Mega-Cluster stretching from New England though the southern Mid-Atlantic — with Philadelphia at its center. The findings for today’s slideshow, as well as those for the remainder of the week, come from Brookings’ Sizing the Clean Economy: A Green Jobs Report released in July 2011. The PowerPoint slides are courtesy of Mark Muro, Deputy Director of the Metropolitan Policy Program of the Brookings Institution. The video clip is extracted from Philadelphia’s 21st century Clean Energy Opportunity from Regional, National & Global Perspective, a program I organized in cooperation with the Academy of Natural Sciences of Drexel University and the T.C. Chan Center for Building Simulation & Energy Studies on October 11, 2011). I am grateful to Mark Muro and Brookings for permission to share these slides with the readership of U.S./China Clean Energy. If you want to be sure you see this week’s series of posts, please click the “Follow” button on the WordPress toolbar immediately above this blog’s heading and an email will automatically be sent to you as soon as each post appears. In 2008 China could be seen rapidly closing the gap with the traditional wind market leaders – the U.S., Germany and Spain. 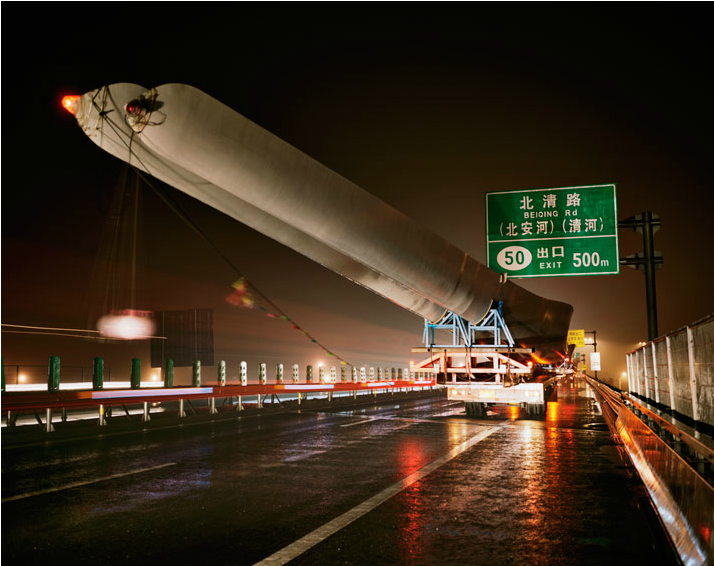 By 2009, China, riding a massive post-GFC stimulus program, became the world’s largest buyer of wind turbine equipment. In that same year, the U.S. managed to maintain its strong pace of wind installations but Spain and Germany started falling off the global pace as post-GFC austerity forced them to drop governmental price supports (so-called “feed-in-tariffs” or FiTs) for wind installations. Finally, in 2010, China surpassed the U.S. in wind-power installations (18.9GW vs. 5.6GW) and emerged as the clear global front-runner for wind-energy purchases and installations. (1) For the moment, there is still a huge asymmetry in the number of installations which GE has made in the Chinese market (over 1,000 in China alone, over 14,000 worldwide ) versus the number of installations Chinese wind-power companies have made in the U.S. market (3 installations, as of December 2010). Moreover, lingering tight credit strongly favors established market leaders when it comes to wind energy projects and, for now at least, financing costs are currently prohibitive for new entrants. This is a substantial market hurdle for Chinese entrants to the lucrative U.S. market, not a government barrier. (2) In a mid-summer 2011 settlement announced by the Office of the U.S. Trade Representative, the Chinese government agreed to stop subsidizing its wind power manufacturers. 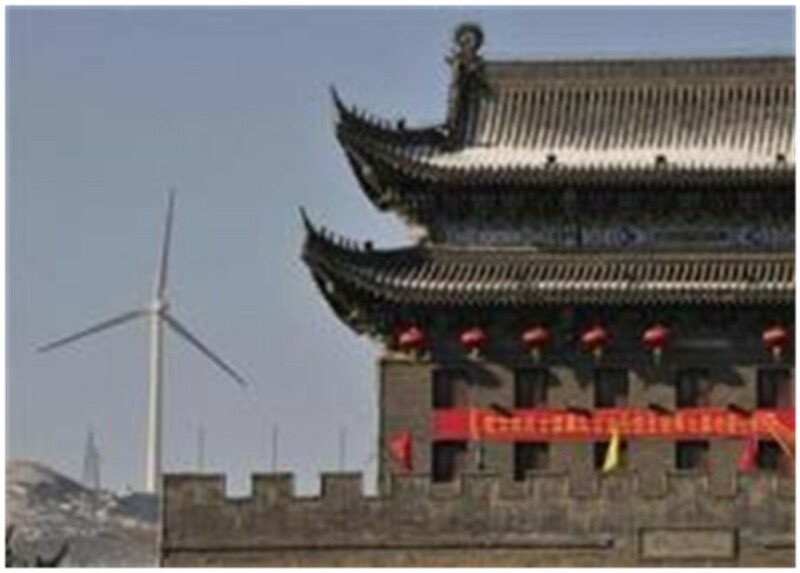 This put an end to a six-year, WTO-inconsistent effort known as Notice 1204 and led by National Development and Reform Commission, to favor Chinese suppliers in the manufacture and installation of Chinese wind-turbines. (3) Earlier this week, China’s government adopted stricter regulations in anticipation of an expected “bloodbath among turbine producers” as reported by the Financial Times on October 24th. It’s a marathon, not a sprint to the wind-energy future. Far too early to proclaim China the winner.